Our 28 acres offer a wide menu of opportunities for Vermonters of all ages to play, study, and explore in nature! Thanks to capital campaign donors, our newly-expanded, net-zero facility features a beautiful community room with space for lectures, classes, art showings, meetings, and community gatherings. Our distinguished nature-based education programs immerse children in extraordinary learning environments with an acclaimed, innovative teaching team. As Central Vermont’s headquarters for natural history education, we offer expert presentations, field trips, and seminars to enrich your understanding of the natural world. From amphibian monitoring to bird research, North Branch Nature Center studies and protects local wildlife with the support of passionate volunteer scientists. 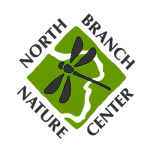 North Branch Nature Center connects people with environmental education, natural history, and citizen science. More than 10,000 people visit NBNC to be in touch with the sights, sounds, and sensations of the natural world. Our 28-acre preserve of forest and fields is nestled in a gentle bend of the North Branch of the Winooski River, just two miles from downtown Montpelier. NBNC is the delight in the eyes of children as they watch fireflies in a field. NBNC is a group of naturalists exploring the secrets of warblers and willows. And it's a quiet place to walk or ski, swim or sit, or simply relax beside the river. There is much to explore. Please join us. April Break Camp - Registration Open! NBNC is seeking fun, charismatic Junior Field Staff for our summer camp season! Read the full job description HERE. Our April Break Camp, for children K - 3rd grade, is the perfect way to explore the natural world. Mart with natural materials, explore the fields and forest, cook and (safely!) eat wild edibles, and immerse in the transition from winter to spring. Click here for more info. NBNC is excited to announce Biodiversity University, our new summer field school for naturalists. BioU offers in-depth nature study taught by the region’s finest biologists and educators. Our students are weekend naturalists, working ecologists, and anyone with an insatiable drive to understand the pieces and patterns of our wild world. Our courses are already filling up fast, so head over to BioU today!